Audi Certified, GREAT MILES 42,577! 3.0T trim. JUST REPRICED FROM $46,995, PRICED TO MOVE $4,500 below NADA Retail!, FUEL EFFICIENT 29 MPG Hwy/19 MPG City! 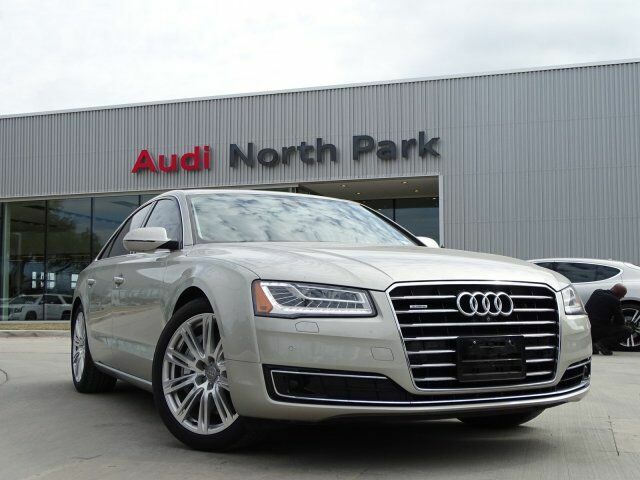 Heated Leather Seats, Nav System, Moonroof, Supercharged, All Wheel Drive. READ MORE! PREMIUM PACKAGE Audi Head-Up Display, 22-Way Multi-Contour Comfort Seat, 4-way power lumbar adjustment, ventilation and massage feature, and wood trim on rear side of seat, Topview Camera System (Front, Rear & Side Views), Audi Side Assist w/Pre Sense Rear Operates at speeds above 19 mph, visual warnings located in exterior mirror housings, radar technology located behind rear bumper (not visible), and can be turned off, DRIVER ASSISTANCE PACKAGE High-Beam Assistant, Audi Adaptive Cruise Control w/Stop & Go, 20-95 mph operation w/coast, 4 distance settings, stop and go functionality, resume and accelerate features, stalk on steering column, speed shown in driver information display, and enhanced braking guard (ability to initiate a full-stop below 19 mph), Audi Side Assist & Active Lane Assist MP3 Player, Sunroof, All Wheel Drive, Keyless Entry, Steering Wheel Controls, Child Safety Locks, Electronic Stability Control.